Julia Knowlton Dyer philanthropist born in Deerfield NH in 1829 Her father was Joseph Knowlton and her mother Susan Dearborn Upon Bunker Hill Monument are inscribed the names of her mother's grandfather Nathaniel Dearborn and of her own grandfather Thomas Knowlton. affecting her own faith in the slightest Mrs Dyer is so engaged in philanthropic work that she hardly thinks of herself as being a leader in the church. 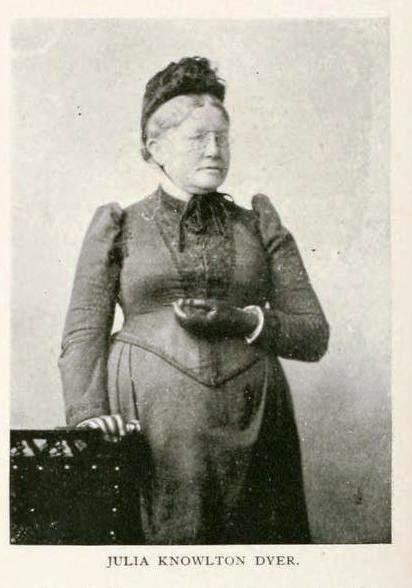 Mrs. Celia Laighton Thaxter, poet, born in Portsmouth, N. H., 29th June, 1835. 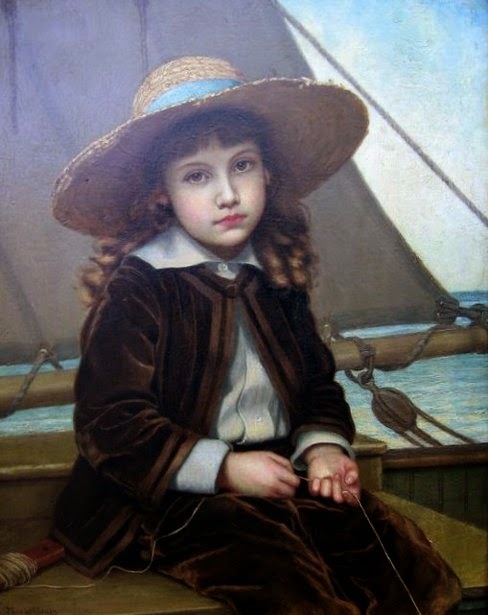 When she was four years old, her father, Thomas B. Laighton, went to live, with his family, on the Isles of Shoals. The childhood of herself and her two brothers, Oscar and Cedrick, was passed at White Island, where her father kept the lighthouse, which is described by her in her book, "Among the Isles of Shoals." All her summers are spent among those islands. In 1851 she became the wife of Levi Lincoln Thaxter, of Watertown, Mass., who died in 1884 She never sought admittance to the field of literature, but the poet, James Russell Lowell, who was at one time editor of the "Atlantic Monthly," happened to see some verses which she had written for her own pleasure, and without saying anything to her about it, christened them "Landlocked" and published them in the "Atlantic." 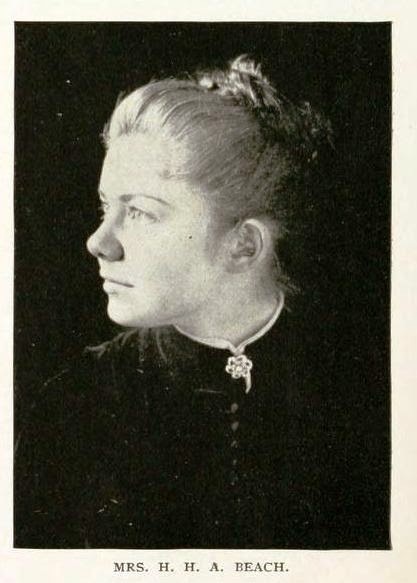 After that she had many calls for her work, and at last, persuaded by the urgent wishes of her friends, John G. Whittier, James T. Fields and others, wrote and published her first volume of poems in 1871, and later the prose work, "Among the Isles of Shoals," which was printed first as a series of papers in the "Atlantic Monthly." Other books have followed, "Driftweed" (1878), "Poems for Children" (1884) and "Cruise of the Mystery, and Other Poems " (1886). 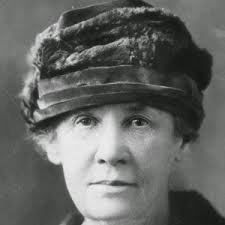 Among her best poems are "Courage," "A Tryst," "The Spaniards' Graves at the Isles of Shoals," "The Watch of Boon Island, "The Sandpiper" and "The Song Sparrow." Mrs. H. H. A. Beach, composer, born in Henniker, N. H., 5th September, 1867. 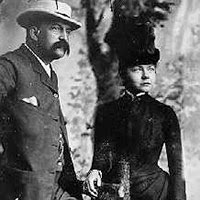 Her parents were Charles Abbott and Clara Imogene Cheney. Mrs. Cheney, Dorn Marcy, was well known as an excellent musician, and it is due to her careful supervision and fostering care that Mrs. Beach's early musical development was so systematic and judicious. 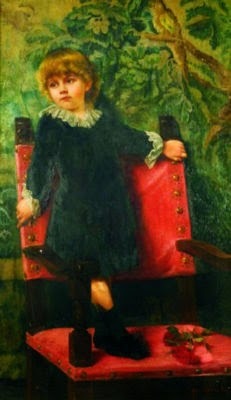 The earliest evidences of her musical powers were manifested before she was a year old, and as she was so situated as to hear much good music, she soon acquired the habit of catching the songs that were sung to her. 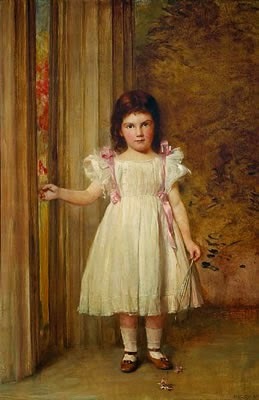 When three years old, to play the piano was her chief delight, and soon she could play at sight any music that her hands could grasp. At the age of four years she played many tunes by ear. She improvised much and composed several little pieces. Among her earliest musical recollections is that of associating color with sound, the key of C suggesting white, A flat, blue, and so on. The exact pitch of sounds, single or in combination, produced by voice, violin, piano, bells, whistles or birds' songs, has always been perfectly clear to her, making it possible for her to name the notes at once. When she was six years old, her mother began a course of systematic instruction, which continued fortwo years. At the age of seven she played in three concerts. She continued to compose little pieces. Among these were an air with variations and a setting of the " Rainy Day " of Longfellow, since published. Regular instruction in harmony was begun at the age of fourteen. 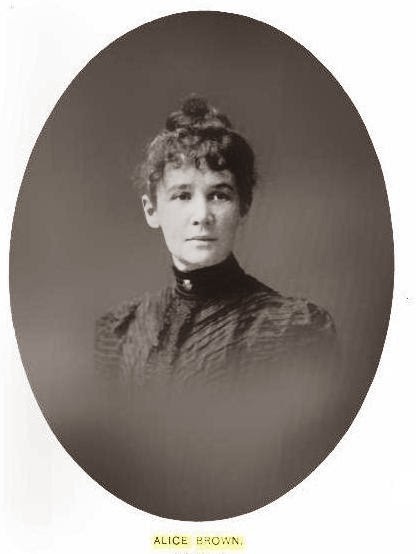 For ten years, with various interruptions, Mrs. Beach received instruction in piano playing from prominent teachers in Boston. 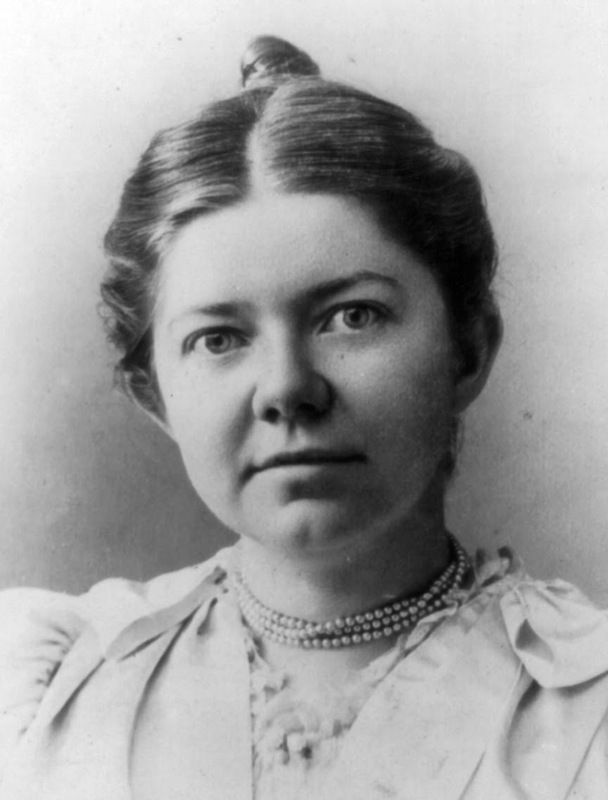 She made her first appearance before a Boston audience as Miss Amy Marcy Cheney on 24th October, 1883, at sixteen years of age, playing the G minor concerto of Moscheles with grand orchestra. That performance was succeeded by various concerts and recitals in Boston and other places, in association with distinguished artists. In December performances with orchestra. 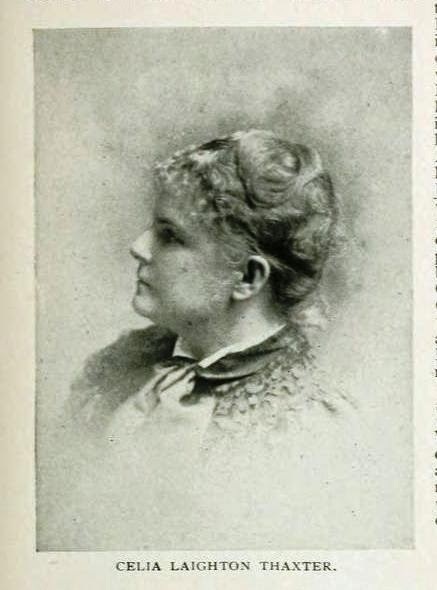 Her talent in composition has shown itself in the following list of published works: A grand mass in E flat, a graduale for tenor voice, an anthem for chorus and organ, three short anthems for quartet with organ accompaniment, a four-part song for female voices, three vocal duets with pianoforte accompaniment, nineteen songs for single voice with a pianoforte accompaniment, a cadenza to Beethoven's C minor concerto, and a valse caprice for piano. She has in manuscript other compositions, a ballad, several short pieces for the piano or piano and violin, and songs. The mass was performed on 7th February, 1892, by the Handel and Haydn Society of Boston, with the Symphony Orchestra and a quartet of soloists assisting. From The National Eyclopaedia of American biography, being the history of the United States as illustrated in the lives of the founders, builders, and defenders of the republic, and of the men and women who are doing the work and molding the thought of the present time by George Derby.